Dress in yellow and red for the day! 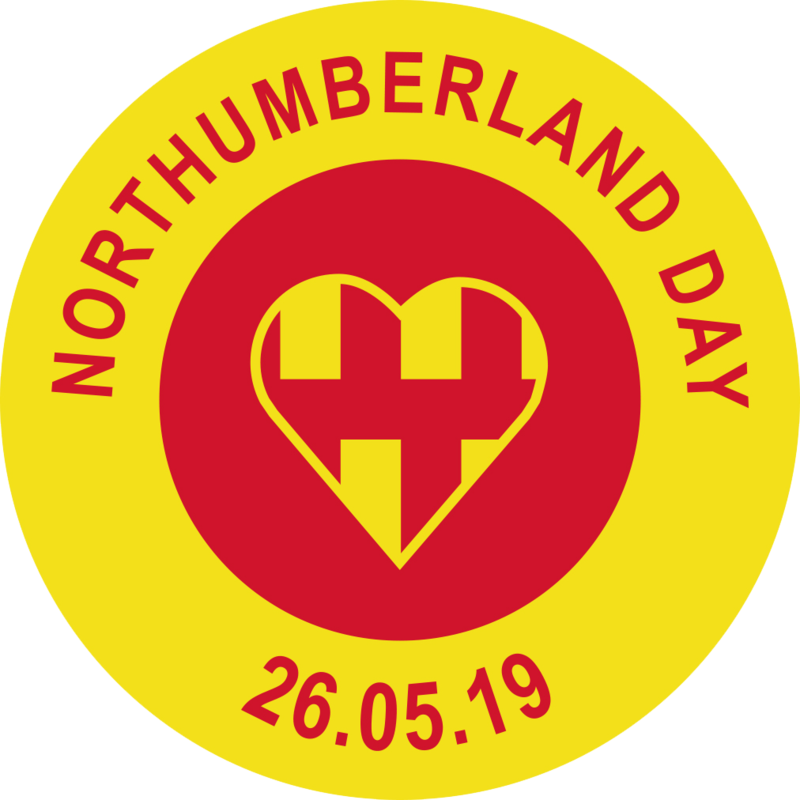 We want to turn the whole county yellow and red on Northumberland Day and the period leading up to it! Use Northumbrian dialect and words for the day & teach visitors their meaning! Dress up – St Oswald or Grace Darling … the choice is yours! Knit the longest Northumbrian scarf! Brand your sheep with the Northumberland flag! Put the Northumberland flag over your face on your Facebook page. Inspire others – anyone you meet – to do something! Every little counts. TELL US WHAT YOU ARE DOING – WE CAN THEN HELP YOU PUBLICISE IT! ​Leading up to Northumberland Day, we would like to see ambitious and passionate Northumbrians once again taking up a Northumberland Flag Challenge. Get the Northumberland flag into unexpected places and photograph it there, whether it is on a beach in Australia, a sunbed in Magaluf, or on top of a mountain. Let’s get the flag pictured everywhere and talked about worldwide! If you’re struggling for a flag, we will lend you one, if you promise to pass it on to the next person to take up the challenge. Flags can be bought on Amazon, if you want your own! TURN NORTHUMBERLAND YELLOW AND RED! ​We want to see as many people as possible turning Northumberland yellow and red in celebration of Northumberland Day. Northumberland schools can do that before they break up for the Whitsun holidays and then everyone else can bedeck the county in its bold colours for the day itself – Sunday May 27 2018! Dress your hair, your face, your shop windows, your cars, your bicycles, garden borders and much more in yellow and red and don’t forget to take those special coloured outfits out of the wardrobe on the day! ​Are you a proud Northumbrian business or entrepreneur, wishing to show your pride for your county through sponsorship? If so, we can create a package to suit your budget. Please contact Jane Hunt, at Catapult PR, on 01253 446925 – Nday@catapultpr.co.uk or 2019@northumberlandday.co.uk discuss any thoughts that you have.